and/or workshop facilitation at its finest. "We so enjoyed our storytelling experience with Susi Wolf! She worked with a crowd of over 200 3-11 year olds and their parents, and each person was riveted! she has a knack for engaging the young child while including the older students in the audience. After a year of storytellers attending our monthly assemblies, several parents and staff enthusiastically claimed that she was their favorite! We especially appreciated that Susi has such a wide range of material she was able to craft her program to meet our curriculum needs. She strives to entertain as well as educate and she hits the mark every time!" "Susi Wolf is a delight in Diamond Bessie; an intriguing story set in the late 1880’s of a young woman whose life took numerous unexpected turns at an early age. Susi is a true professional who embraces her character by engaging her audience immediately. The audience runs the gamut of emotions from shock, empathy, understanding, and forgiveness. We all recognize that circumstances are a part of life, and Susi weaves a fascinating true story of being caught up in situations that were inescapable for the young Diamond Bessie. These circumstances are handled with grace and style by Susi enthralling her audience." "Storytelling with Susi Wolf is a wonderful experience for our children. She always entertains them, shows patience and is very lively. She's been part of our events for many years and the children look forward to her shows." "Mrs. Claus (Ms. Wolf) enchants her audience with a rich weave of history." "Great fun!! It was a trip around the world through story. I feel blessed and rejuvenated. Thanks, Susi Wolf." "Susi’s performance of Silk Stockings was very entertaining. The stories draw you in and make you feel like you’re a part of them. I laughed, I cried and laughed some more. Between Susi’s performance and her overall spirit, you can’t help but be moved." "Susi Wolf has been a fixture at our Holiday Open House as Mrs. Claus for two years running and her heaft felt stories and good cheer continue to thrill children and adults alike. She is a treasure." "The Women's Club of West Mesa was so blessed today to have Susi Wolf and her presentation of Silk Stockings! We were all spell bound by her wonderful storytelling! Thank you Susi for such a special day!" "Susi is an incredible storyteller! She takes you on such an enjoyable journey." I just wanted to take a moment to thank you again for the training you provided for the staff. Some of the teachers are already using your ideas in the classroom. "A very interesting and informative class. I think EFT will be very helpful for me to verbalize and process the stresses in my life. Susi is a very engaging teacher and I look forward to learning more." "The EFT Tapping class opened my eyes to a better way of natural healing for stress and other types of emotions that can cause physical ailments. It was an amazing experience and I am very glad I took this class. The benefits are immeasurable." "EFT Tapping was a wonderful workshop. It taught me to help myself in many areas of my life. It taught me how to write a script to overcome problems in my life. The tapping is relaxing, helping me to center myself. I plan to continue this, along with the journaling as a part of my life. The handouts were excellent." "I have a feeling of hope that EFT Tapping will start a positive change in my life. I experienced a decrease in stress after repeating the exercise a few times. Thank you for sharing this tool." ﻿"Impressively interesting. An absolute must to understand the need and advantages of storytelling in the corporate environment." "Susi's storytelling presentation was one of the most entertaining ways to learn how to deal with such a wealth of difficult things." "Very nice; very interesting. Life's like that." "When I heard Susi speak, she was new to me and her storytelling skills were unknown to me. While listening to her, I was able to picture the stories. I also found Susi to be an interesting, motivating, compassionate person. I want to hear more." "I never knew the power a story could have to bond people together. It’s magic!" "I felt it was insightful and inspiring. You’re awesome." "Everything was great. You are an amazing person. I hope to hear more storytelling soon." "Thank you for all your story sharing. It was amazing." "Great job. Would love to have you come back! You brought in great energy and opened up a whole new part of my life. Thank you. I needed this." "It was awesome. Thank you." "Very interesting. Thank you! Enjoyed it very much!" "A very good speaker. I have a hard time paying attention normally but not this time." "I have been given such wonderful detailed info regarding party planning. I am a pretty creative mom and have done parties for many years. I have run out of ideas and it was great to hear new ones." "Great party planning tips. Very informative. Enjoyed the various examples discussed. Thank you." "Susi is highly professional in her work. She offers a wide range of services using the art of storytelling as a means to communicate deeper meaning and values to enhance the lives of those who meet her. A talented and enthusiastic entertainer!" “I feel EFT-Tapping was a VERY worthwhile workshop. I will be able to use this in my life (now and in the future). "Very well done. Useful examples of how I could use storytelling." "This was delightfully thought-provoking. It created a bridge between information and inspiration." "Susi Wolf has proven to be a valuable asset to our center for the children as well as the staff through her storytelling. She has an incredible art for storytelling and she has been able to impart her knowledge to our teachers through a training she provided. Susi has entertained the children with her stories and has been able to motivate the teachers to take what they learned back into the classrooms with their children." “As usual, Susi was a such a blessing – she gives such great insight as to how to tell stories. Our children love her stories, as do the teachers. She is a gift. “Susi quickly captured my students’ attention and kept them engaged through her incredible storytelling. They have asked me repeatedly if I would ask her to come see us again. I would highly recommend Susi to visit your school." “Susi Wolf amazed me as a storyteller. She brought such fun to the students and added valuable education with her tales. The children laughed and learned all at the same time. We definitely need her in the classroom!" "Susi’s storytelling workshop created an amazing sense of trust and openness among my staff. I feel that due to Susi’s guidance we are going to have an incredibly strong and cohesive team this year. Thank you for opening our eyes!" "I didn’t know where I was going until I got there. Susi showed us the path." "This was a great workshop. I feel that Susi has a way of making people feel comfortable and makes a group of people grow stronger." "I really enjoyed this workshop on storytelling and it helped me and my co-workers to get a better understanding about each other and personal stories." "Storytelling workshop: from stories and guidance and sharing of energy, walls were broken; love was shared." "It was a great experience for me. It is great how story makes a difference in my life." "Susi, in a gentle and empowering way, walked with us as we journeyed inward learning to know and love ourselves." "Thank you for letting us share and feel free to love one another." “Very helpful, loving, and insightful way to spend an afternoon." “This was an excellent workshop to learn about the power of Story in our lives and the lives of others. 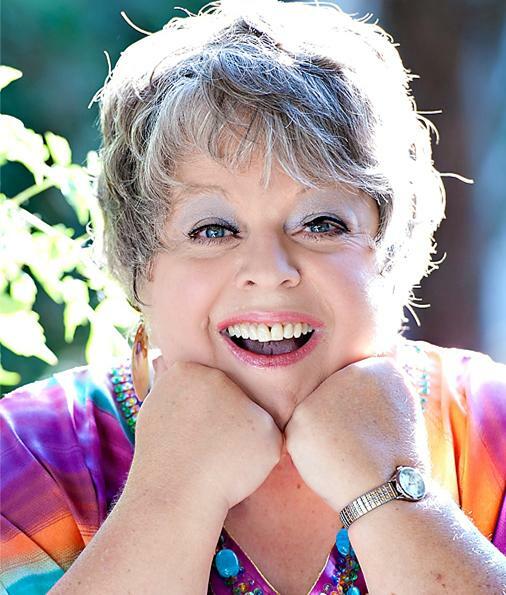 ﻿"Susi Wolf is passionate about spreading the EFT-Tapping word to enable 'newbies' to learn self-care and self-healing. In the group setting, her take-charge-with-compassion manner sets everyone at ease. Her humor makes the lessons more palatable. Feedback from our group said "bring her back again"! "My girls are still talking about all the awesome things that Grandmary taught them. Krystal is teaching her 19 year old brother how to be polite and how to serve and stir his tea. Makayla is telling everyone in sight what Grandmary has said is the proper way to do things. The girls had a wonderful informational and fun gathering where they learned skills that will last a lifetime. And the parents had just as much fun. One of the Dad’s decided he liked cucumber sandwiches very well and one of the Mom’s said it was her favorite meeting ever and I have to agree. We will never forget the fun we had with you last night. Everyone who was there was touched by the effect you had on the girls. Thank you for sharing your time and your experience and your treasures with us." "Thank you for (Grandmary) attending our Girl Scout tea at Pinky's Cafe. We all enjoyed the stories about life during the Victorian era and are trying to remember to use the manners and etiquette you taught us. With sincere thanks!" "Susi is such an amazing story teller. She attended Albuquerque Reads End-of-Year Celebration Party and kept not only the 60 kindergarten students’ attention but also every adult at the celebration, too. We were delighted to have such an enthusiastic and passionate person, like Susi, participating in our program celebration. We would be happy to have her at every event we do; she’s that good!" "There is something in Susi's stories that opens the heart and moves you deeply into the best of yourself. Inspiring, healing, empowering. It's important to hear these stories because you'll find yourself changed for the better when you wake up the next morning." "In the grand tradition of Irish shanachies (storytellers), Susi Wolf kept us all mesmerized and amused with her wonderful tales. 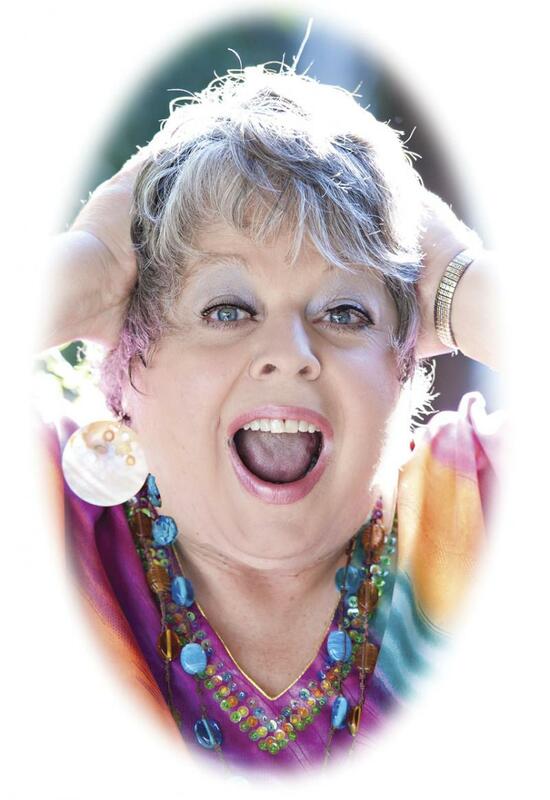 A gifted performer and raconteur, Susi will light up any event with her fabulous fables." "It was a joy to have you at our school. Your amazing gift for story captivated the attention of each and every child from preschool to our 5th grade students. The adults were intrigued as well. Thank you for sharing your special gift." "GrandMary the Victorian Lady was a new experience and all our guests were mystified by her appearance and manners; how to use manners and eat at the table was a Hit! The children learned new information and opened their imagination to History. Thank you GrandMary, we would like to have you visit us again﻿.﻿"
"Susi gave the most entertaining presentation ('The Saga of Diamond Bessie') we've ever had at our Sunday Funday and was also one of the most informative; she engaged well with the audience." ﻿"Susi did an exceptional job on our wedding ceremony. She took the time to get to know us and created a beautiful, personalized service. She has great energy that lights up a room, which is exactly why we knew she'd be perfect! A million thank you's for making that day so special and unforgettable." "Susi has a way of telling and spinning tales that makes your soul move. You feel in your heart what she is saying. Truly enjoyable." "Thanks so much for coming! The kids were so mesmerized by your stories, and the staff really loved them too. We’d love to have you back anytime!" “I loved every aspect of this workshop. It gave me much insight into being empowered and what areas of my life need more love and attention. Thank you for your knowledge and sharing with me your wonderful gift!" "THANK YOU!!!! The students thoroughly enjoy you and your talent of storytelling! You are a blessing to our program﻿." "It was a pleasure having you here, Susi. I know our children enjoyed the stories. Thank you for taking time out of your busy schedule." "Susi Wolf is an amazing Mrs. Claus! Our home visiting program was honored by her brilliant storytelling. She has a real gift for connecting with families with young children. We sang Christmas carols together and the children took pictures with Mrs. Claus! Truly she was one of the highlights of our holiday gathering. Thank you." "Susi is a passionate storyteller with a love for the power of story." "Thank you for your valuable insight, commitment and healing energy." "This workshop presented tangible info and was well constructed!." "You are truly amazing! I am looking forward to staying in close contact with you as I think you can help my clients who so desperately need it. Thank you." "Very inspiring! It really is important to learn how to tell our stories"
"Learning how to tell stories helps my business and Susi taught me how to do it more effectively." "Susi tells engaging, interesting stories that can apply to everyone. Her workshop was fun and lively." "This was such a wonderful experience, Susi. Thank you for sharing. Life, both personal and professional, is more understood through storytelling." "This was my first experience to storytelling and I am hooked. I learned much and am excited to incorporate this practice in my work. Enlightening." "Susi Wolf is a powerful storyteller. This was an energetic and powerful night to experience. Don't miss an opportunity to hear Susi." "Susi opens the metaphysical world, giving tools for helping ourselves and others." "Healing art of storytelling class was wonderful." "Susi has a captivating presence. She embodies that which she teaches and uses all of her gifts to engage with and help empower her clients toward transformation." "Thank you, Susi. I appreciate your knowledge, your humor and your compassion and your dedication. 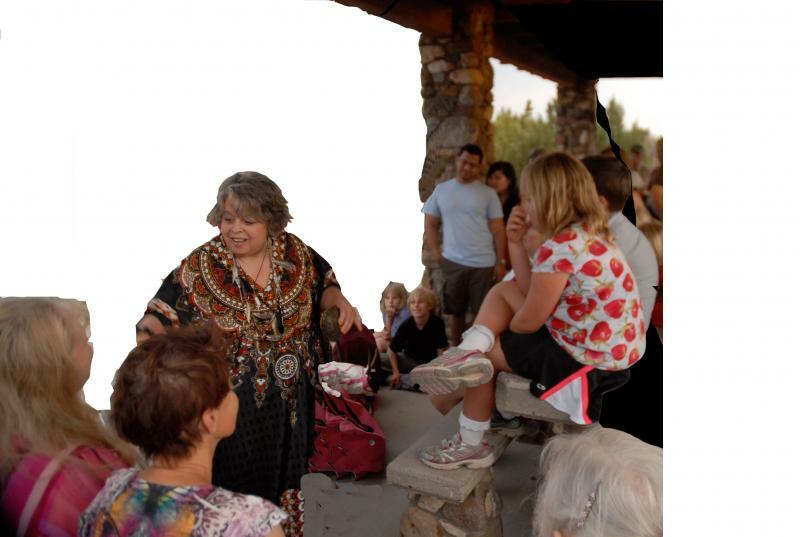 Both the healing art of storytelling and the EFT workshops were wonderful." "As a life coach myself, the combination of tapping with coaching provides a powerful experience in getting quickly to the core of issues. In much gratitude to you, Susi." "This was a short intro, yet powerful, for a glimpse into EFT. I am a physician and felt interested to find a tool that helps my clients and myself. I believe this is a safe, accessible stress management tool, and I appreciate this short workshop. It has opened doors. After the session, I feel alert, awake, invigorated and grateful." "EFT is the “miracle pill” for me!! Susi Wolf is a master practitioner of EFT! Thank you for having this class/experience!!!" ﻿"I CANNOT thank Susi Wolf enough for the personal and beautiful ceremony she performed for my daughter and son-in-law's wedding!! It was like having a close friend officiate at such a special occasion!! She made the ceremony so much more special than I thought was possible. Thank you, Susi, for such an amazing wedding ceremony!! You set the most beautiful tone for the entire event! Much love and gratitude. Thank you!!" ﻿﻿"Susi Wolf is an outstanding wedding officiant! She made our day special. I would highly recommend her. A very decent price for what she charged. I loved how she got to know us and make our vows unique and special just for us." "Thank you so much! I heard such great things about your storytelling and I really appreciate your being here. look forward to inviting you back. "Susi Wolf is a very engaging and interactive storyteller. The children love to hear her stories because she has creative tales with fun props. There are morals or lessons learned from most of the stories that the children can take with them. The training skills we learned in the workshop were helpful. We used one of the activites in our class which the students enjoyed and learned from." "I loved your wonderful insightful stories, but most of all I loved your heart and your beauty expressed through the telling. Thank you for sharing your beautiful gift with us!" "I loved experiencing your stories and your presence at our writing group retreat. I hope you'll grace us with your presence again!" "Thank you so much for being part of the writing group retreat. Your beautiful stories set a playful, yet contemplative, tone for the day. Thank you for sharing your gift of storytelling." "Susi Wolf's Storytelling: Captured totally...transported completely!." "Forget Star Trek. Susi transports you through time and culture." "A wonderful, fun evening of creative storytelling. Like a trip around the world!" "I felt honored to be in the presence of Susi Wolf, master storyteller, as she presented Silk Stockings - A Celebration of Women Through Storytelling at a friend’s home. The intimacy of the setting added to the drama. I had no idea what to expect. Susi emerged from a side room and had the presence and grace of entering a stage in a small, intimate theatre. She maintained stage presence yet one-on-one eye contact and intimacy with each of us throughout her performance. I found the stories and the way Susi presented them mesmerizing, intriguing and totally absorbing. Susi is dramatic and her performance is both touching and energizing. Time just flew by! I can’t wait to see her again." Thank you, Susi, for providing us with a dazzling performance at our first annual Whole Woman Conference in Albuquerque, New Mexico. The audience was captivated, not only by the rich and throught-provoking stories, but by the awe-inspiring storyteller herself. We look forward to many more wonderful Susi Wolf tales!" "Susi Wolf saved my 2 year old's birthday party! Due to the poor air quality resulting from the recent NM fires, I was forced to switch the birthday party from the park to my home and found myself in need of some entertainment. After reviewing the normal magician and clown options I noticed Susi's add for storytelling. What a find! Her use of puppetry and interactive, dramatic storytelling kept the children, ages 2 - 5, completely engaged. It was a joy to watch! What a magnificent alternative to the norm. Susi is wonderful and I highly recommend her for children of all ages!" Nora, Workshop Attendee: "Storytelling for Personal Empowerment"
Workshop Attendee: "Storytelling for Personal Empowerment"
H., Workshop Attendee: "Storytelling for Personal Empowerment"
“I really enjoyed the training and I learned a lot about bettering myself and how to react to my children"
“The training today was amazing. It touched my heart and I would love to learn to tell stories to the children I work with, to my brothers and sisters, to my cousins, nieces and nephews, and one day to my own children." “I love thinking of the trials, tribulations and experiences of my life as a story. I appreciate the opportunity to embrace myself with love and forgiveness. I also enjoy that our trials/issues tie into that for which we are grateful and make us who we are. I love what I can be. "Susi (Wedding Officiant) was top notch! She responded immediately to my request. Price very reasonable. She made our wedding lovely and simple - exactly the way we wanted it to be!" 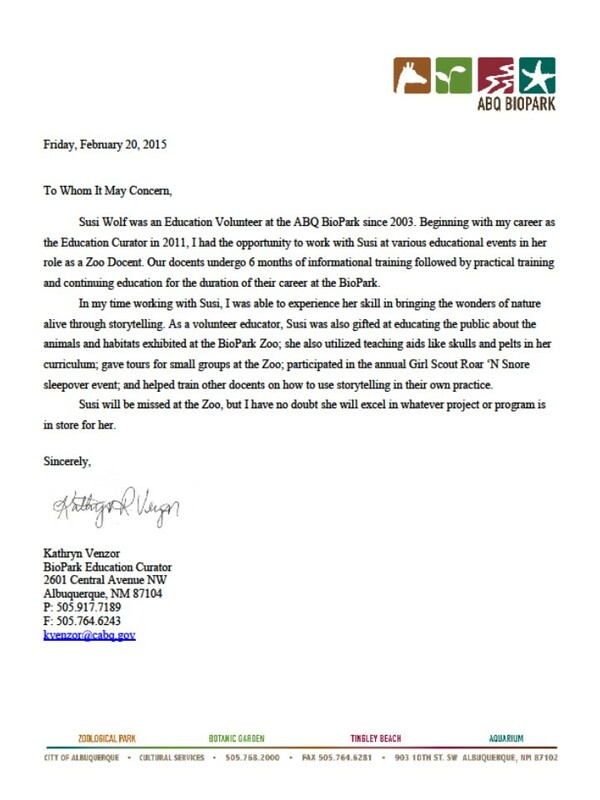 "Susi Wolf has performed numerous times at Santa Fe Children’s Museum and we look forward to having her back for more. Her stories are captivating, engaging, exciting and multicultural and have been a great addition to our special festivals. She arrives on-time, is enthusiastic, easy to work with, and most importantly, great with the families. Thanks Susi!"